Over the weekend, I watched a Malayalam movie called '''Hey Jude'', which is about 28-year-old Jude, who behaves differently from others. A trip to Goa throws up surprises when he makes friends and they try their best to help him tackle the real issues, which is something his parents had never done. This quote by famous Japanese author on Zen, DT Suzuki, makes perfect sense. When it comes to children, parents prefer to deny than accept. When it comes to parents, children prefer not to listen than to accept. 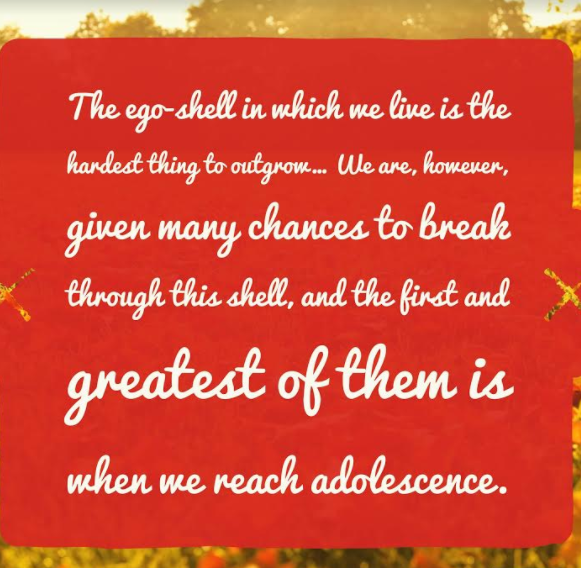 To first identify and then to outgrow the ego shell is a huge challenge. So, how did Jude's parents deal with what seemed like an impossible situation? There's a valuable lesson for all of us - Jude's parents accept the situation with grace, knowing that the only thing they can do is to do that, not fight it. Once they accept their son's abnormality and begin to respond to him with understanding, he begins to change too and that is where the journey of transformation begins. With love and understanding, nothing is impossible. To receive blessings, one needs to first open one's heart to others and give. And that's exactly what Jude's parents choose to do.